I want to share a poem with you from the next OWL of Hope book (it’s at the bottom this message). The book is called Patterns of Light: Poetry by J.S. Hartman. It’s my honor to work with my dad on this book. The book features 100 of his most loved poems and folk songs including As Angels Watched, Stop that Tot!, and Everyday is Christmas. He wrote many of the poems during his time as an Army Chaplain, though he began writing poems when he was 17 years old and is still writing poems today. 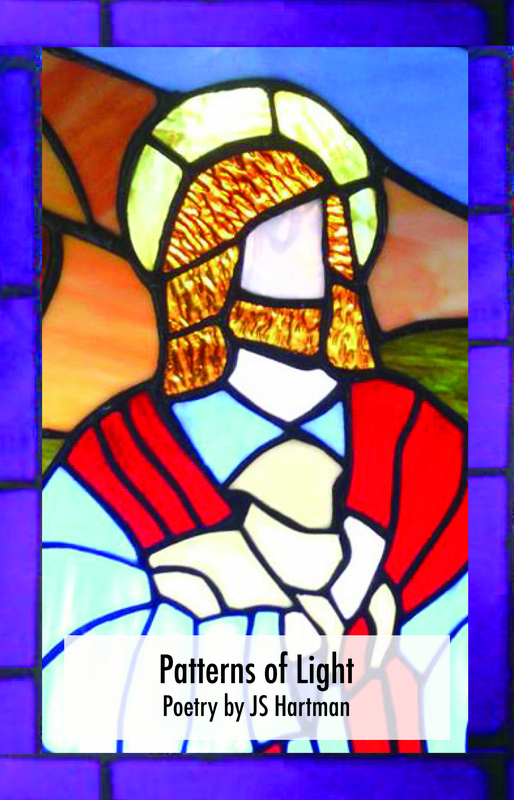 The cover of the book features a picture of one of his beautiful stained glass arrangements. The book also features several useable original stained glass patterns he designed. Many of the poems minister to people experiencing grief. His newest poem I’m Here! is dedicated to his mother who passed away with Alzheimer’s disease in 2002. We would like to share one of the poems with you now and we hope you enjoy it.